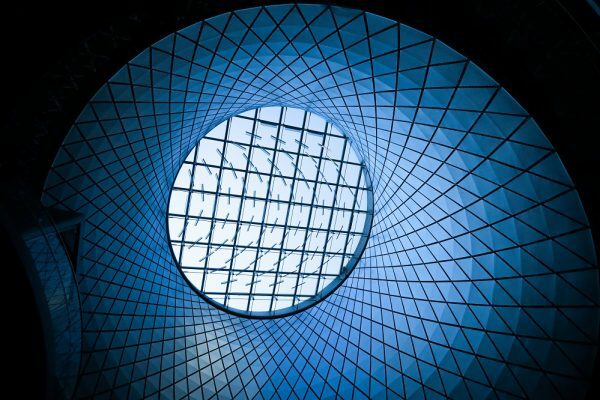 NEW YORK – (May 17, 2016) Plaza garnered another accolade, the Platinum Award of Building Team Awards, from Building Design + Construction (BD+C) magazine for the iconic MTA Fulton Transit Center (Fulton Center) project. This award is the highest honor extended by the highly respected magazine. This impressive recognition joins the list of other stellar awards which includes the 2015 ENR New York Project of the Year and 2015 Construction Achievement Project of the Year Award from the American Society of Civil Engineers – Metropolitan Section. On October 19, 2015, CCA Panama held a groundbreaking ceremony for the Esperanza project, or “The City of Hope”. Attendees included Juan Carlos Varela, President of Panama, Wang Weihua , Chief Representative of China-Panama Trade Development Office, Tiger Wu, Chairman and CEO of CCA Panama, David Wang, President of CCA Panama, and other government officials and community representatives. The event drew attention from a number of international and Panamanian media including Xin Hua News Agency. 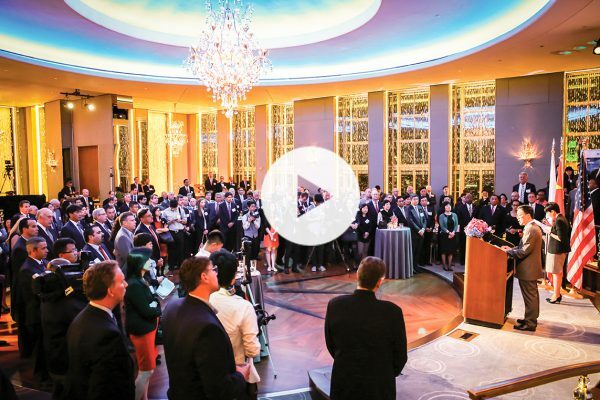 China Construction America (CCA), the largest overseas subsidiary of China State Construction Engineering Corporation Ltd. (CSCEC: 601668-SH) held its 30th Anniversary Client Appreciation Dinner Reception at the Rainbow Room atop 30 Rockefeller Plaza in Manhattan, New York in the evening of Sep. 21, 2015. On September 15, 2015, Strategic Capital, the investment platform and subsidiary of CCA, broke ground on Hudson Park River Club, the third and final phase of the 16-acre Hudson Park Development Project that overlooks the Hudson River in downtown Yonkers. On August 6, 2015, China Construction America (CCA) broke ground on The Pointe, a high-end lifestyle and residential development in downtown Nassau, The Bahamas. On June 30, 2015, Strategic Capital announced the successful acquisition of two residential development sites in Jersey City, New Jersey. Totaling 1.85 acres along the Hudson River, the two sites—75 Park Lane and 2 Shore Drive North—will be developed into high-end residential buildings to feed the soaring market demand in the area. On May 25, 2015, Engineering News-Record (ENR) released the latest Top 400 Contractors list, ranking CCA the 32nd largest contractor in the US with its revenue totaling $1,987 million in 2014, a new record in CCA’s 30-year history in the US. Also on the list is CCA’s subsidiary, Plaza Construction (Plaza), which maintained its remarkable standing as no. 54 top US contractor with $1,100 million in revenue in 2014. On May 6, 2015, Strategic Capital completed the acquisition of Broadstone Post Oak, a luxury apartment community in Houston, Texas, marking the company’s debut in the booming real estate market in Texas. On April 28, 2015, CCA opened its Latin American Regional Headquarters in Panama City, Panama, marking a new milestone in the company’s 30-year history of offering superior construction and real estate services in the Americas. Tasked with supporting CCA’s development and expansion in Latin America, CCA Panama is committed to contributing to the economic growth of Panama through participation in the nation’s ambitious development initiatives. On September 1, 2014, ENR published its 2014 lists of Top 250 Global Contractors and Top 250 International Contractors. CSCEC, CCA’s parent company, ranked no.1 on the global contractors list with a global contracting revenue of $97,870.2 million in 2013. It was ranked no. 20 on the international contractors list, up from no. 24, with $5,742.7 million in revenue realized outside China. On June 9, 2014, Engineering News-Record (ENR) released the latest Top 100 Construction Management-at-Risk (CMR) Firms list. CCA’s ranking climbed from No.86 to No.49 over the past year with $464 million revenue from “at risk” construction management or project contracts. Plaza Construction (Plaza) leaped from No.73 to No.22 with $922.5 million revenue in 2013. Although listed separately, the combined revenue of CCA and Plaza in the amount of $1.42 billion would have placed CCA in the Top 20 Construction Management-at-Risk Firms ranking. On May 16, 2014, Engineering News-Record (ENR) released the latest Top 400 Contractors list, where CCA’s ranking climbed from No.130 to No.82 over the past year with the 2013 revenue totaling $724 million, up from $466 million in 2012. CCA’s new subsidiary, the Manhattan-based Plaza Construction (Plaza), also achieved a massive leap in rankings from No.97 to No.54 with $1,025 million revenue in 2013, a 70% surge from the 2012 level. Although listed separately, the combined revenue of CCA and Plaza in the amount of $1,749 million makes CCA a de facto Top 40 contractor.